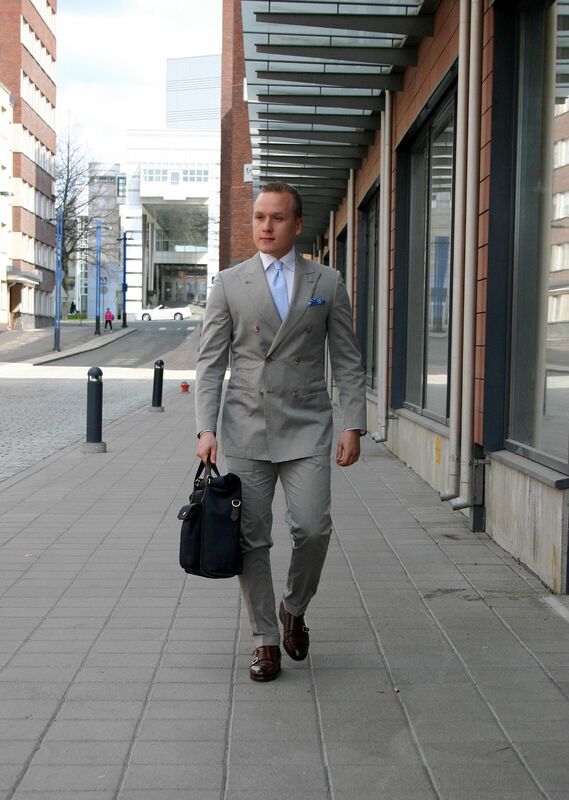 I've been waiting for appropriate weather to wear this cotton suit for quite some time, and finally decided to go for it last last week. I really like this kind of lightweight cotton, and in a double breasted suit like this, it simply makes the coolest summer work gear there is. Worn items include a SuitSupply double breasted cotton suit, white SuitSupply shirt, light blue Prince of Wales check cotton tie from Berg & Berg, Turnbull & Asser silk pocket square, Berg & Berg navy socks, Meermin double monks and a Mismo briefcase. Unfortunately my camera ran out of juice before getting any details shots, so this is all for today. More stuff coming up tomorrow though.